As Kate alluded to on Monday, we’ve been doing this blog thing for a while now. When we actually stop to think about it, we realize we’ve written a lot of posts. Gone through a lot of holidays. Racked our brains for a lot of creative ideas. And, hopefully, have helped you out in a pickle or two. We know not everyone has been with us since day one (and for those of you who have, well, we adore you), so today, we’re recapping the last four years of in a nutshell Halloween spirit. 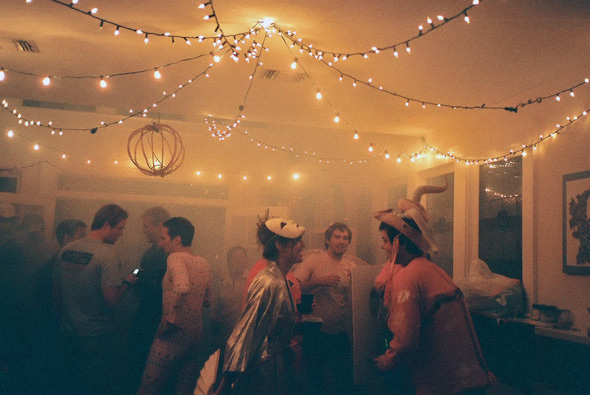 Whether you’re searching for a last minute costume, putting the final touches on the perfect party or looking for some jams to set the mood, we’ve got you covered. 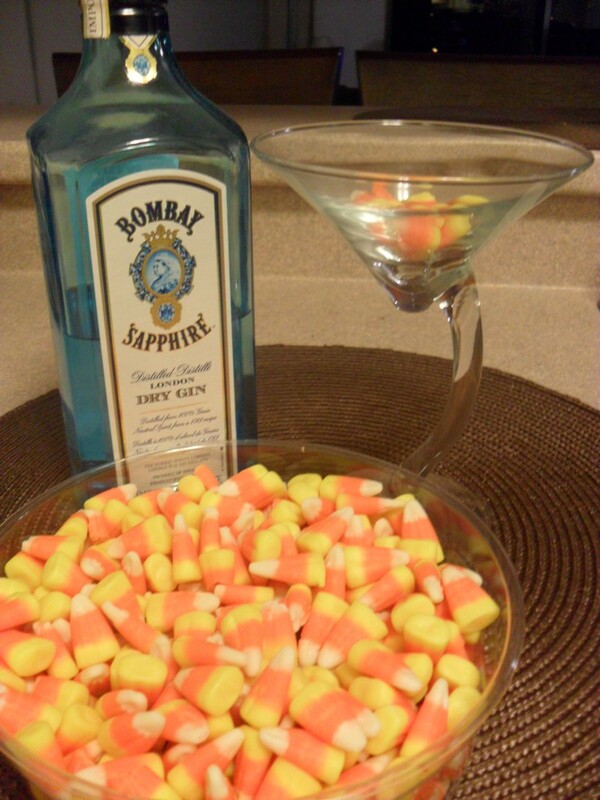 Candy corn martinis? Say no more. Meghan mixes booze with Halloween spirit here – could there be anything better? Did you miss Meghan’s awesome post from yesterday? 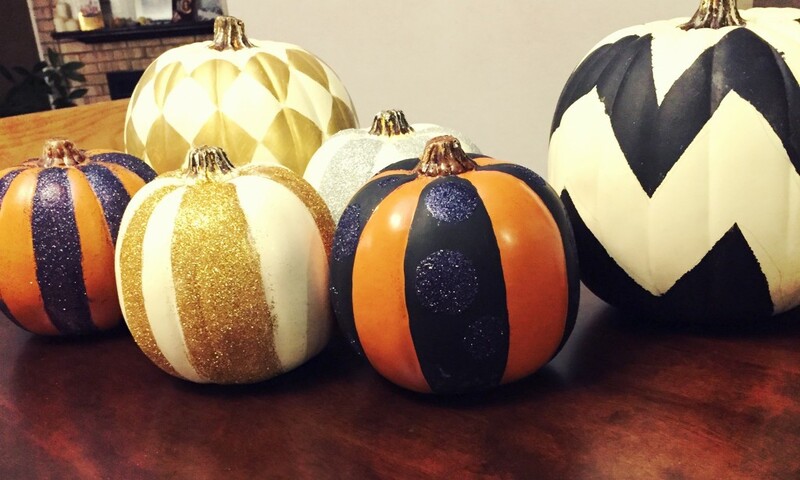 Find out how to DIY and make these awesome decorative pumpkins here. If you haven’t noticed, Meghan is dominating this section of the post. Might be because she is our resident Martha Stewart. 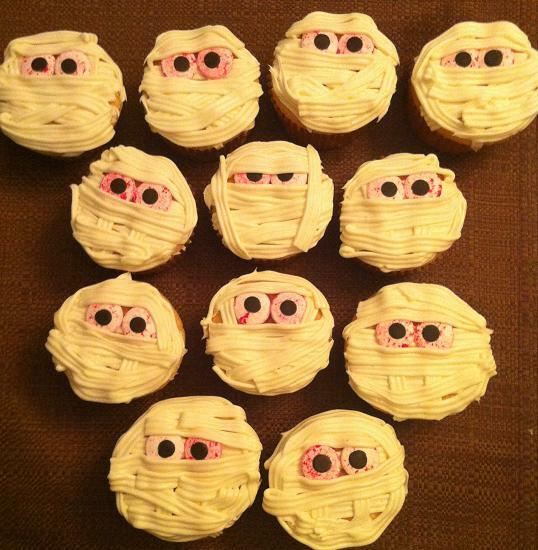 These Mummy Cupcakes, found here, are adorable and a hit everytime. Nailed it (get it, Mummy, coffin …. I digress). 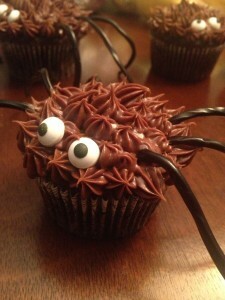 CTV Morning Live hosted us last year to talk about Halloween hostessing, imagine that! Here you’ll find a combination of our best recipes, décor and drinks – a one stop shop for the last minute party planner. One of our top-read post of all time – and we can’t even take credit for it. With help from our hilarious former man’s digest contributors, Allan & Ken, they outline some of their “favourite” costumes here. Food for thought from a male perspective. Read, if you dare. 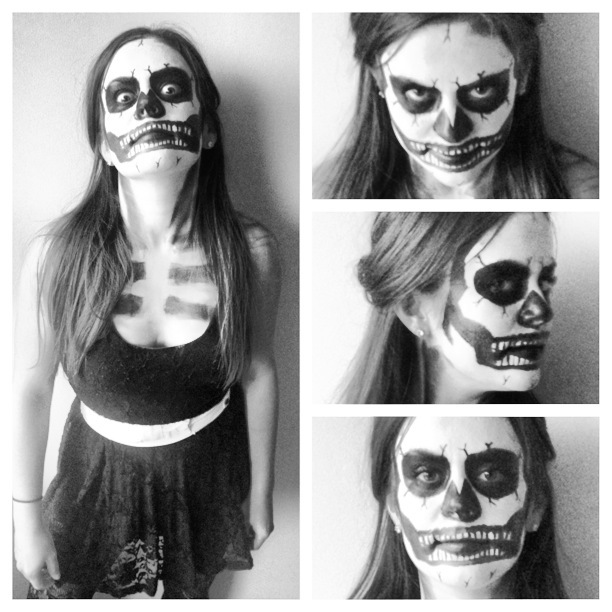 Last year, I tried my hand at face painting and made Kate look like the scariest skeleton in all the land. Here’s a DIY tutorial of a costume that takes only a little time and effort – and a steady hand. The results are both terrifying and amazing. (Stay tuned for Kate & I’s costume – 2014 edition). Jess has treated us to an ON-POINT Monster Mash Playlist for the last four years. Do yourself a favour and flip through them while sporting your office headphones this afternoon. It’ll get you in the right frame of mind for the haunting evening we’re sure you have planned. 2011 - 2012 – 2013 – 2014 … boom. Here’s hoping you have a spooktacular Hallows’ Eve.